Chilly day for youngster at the Stadium of Light. 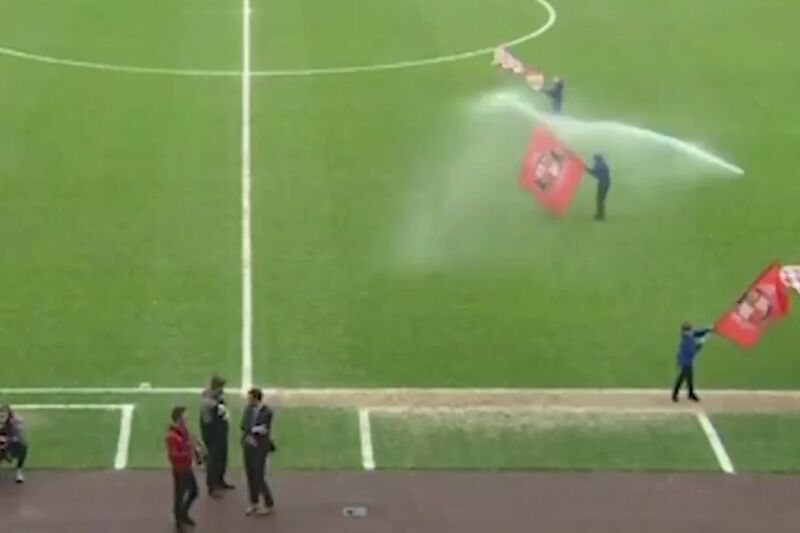 A flag waver at Sunderland got completely soaked by the sprinkler system before the teams came out of the tunnel on Saturday. The promotion challengers beat division strugglers Walsall 2-1 in a League One clash at the Stadium of Light. Before the match got started an effort was made to enhance the atmosphere as the players emerged. Several youngsters were lined up with Sunderland flags to wave. But poor Chester Town Under-10 Blues goalkeeper Travis-John Maddison was placed not far in front of a sprinkler which suddenly sprang into action. A constant spray of water in one direction got the boy all wet, adding to the wind chill already being felt across the country.